Did negligent security contribute to this double shooting? We represent individuals and families who have suffered a tragic loss or injury as a consequence of negligent apartment security. Read Our Legal Take to find out if the victims may have a legal avenue for justice and claims for substantial compensation in Ohio, or call now for a free consultation with out legal team: 888.842.1616. 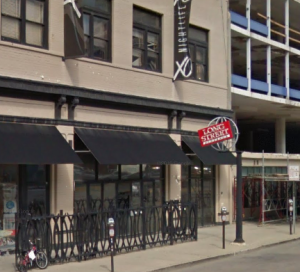 A shooting inside XO Club in Columbus reportedly left 23-year-old Joseph Davis and 24-year-old Myron Herring injured Sunday morning, December 11, 2016. According to ABC 6, gunfire erupted “on the dance floor” of “XO Club on East Long Street,” around 1:30 a.m. Mr. Davis and Mr. Herring were apparently transported to the hospital with gunshot wounds to the legs. Their current conditions have not been released. Nightclub patrons have a right to feel safe and secure within the community. The Murray Law Firm questions the level of security provided at the nightclub and whether this shooting may have been prevented. Crime reports, from Spotcrime.com, reveal a number of recent assaults in the surrounding area. Were any additional security precautions implemented by the property owners or management to protect patrons, following local reports of prior criminal activity? Generally, property owners are required to protect all patrons legally on the premises from any foreseeable harm. Should the facts of this matter reveal that the nightclub owner or management failed to provide adequate security to protect those on its premises, Mr. Davis and Mr. Herring may seek justice and elect to pursue a legal claim for their injuries.